Shuttle fees and reservations are NOT included with (or reserved) your pre-registration. Shuttle numbers are limited and are assigned on a first-come-first-served basis. Shuttles must be reserved separately from pre-registration and must be booked IN ADVANCE. >> Only folks registered for the Bike Fest may book a Driver. >> Riders must display their wrist-band/Entry Plate. >> Ca$h ONLY. 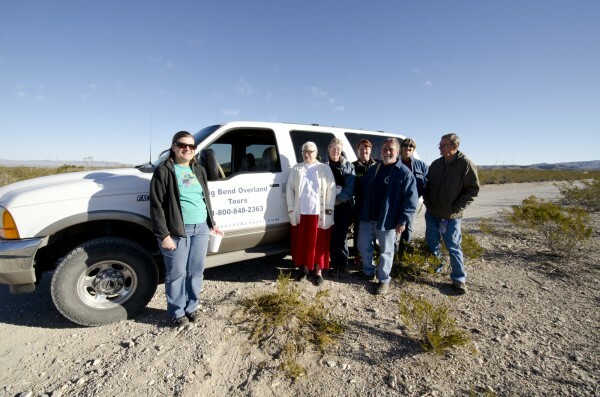 Fee for the Shuttle Service is a ca$h donation to the Big Bend Trails Alliance. Everyone is also encouraged to tip their driver ostentatiously! >> Two sets of keys can be very convenient; but are not required. Old Ore Road Shuttle Drivers from 2016… with many thanks. Click here to send an email to book a Shuttle Driver.